Find out what's taxable and untaxable income. Combat pay, although excluded from gross income, is still considered during the need analysis for federal student aid purposes. It is reported as untaxed income on Worksheet B of the FAFSA. It should also be included in the earned income figures reported on the FAFSA. The amount of combat pay is listed in Box 12 (Q) of the W-2 statement. 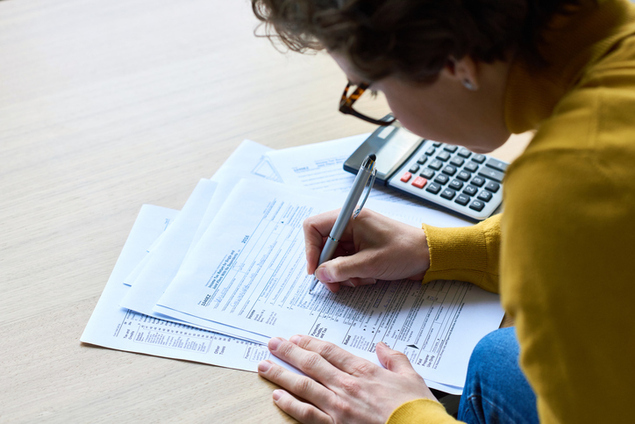 Other types of untaxed income received by military personnel that should be reported on Worksheet B include housing allowance (BAQ) and subsistence allowance (BAS). The school may ask for a copy of your most recent Leave and Earning Statement (LES) to help clarify the type of pay and the amounts. Do not use the Social Security Administration (SSA) Wages, which is listed with a code W in the W-2 statement. Do not include on Worksheet B any amounts that were already included in AGI, as that will result in the income being double-counted. If the untaxed income is not reflective of income during the award year (i.e., because you are no longer serving on active duty), you should ask the school to use “professional judgment” to exclude the amounts from income. Schools have a lot of flexibility in making such adjustments under the HEROES Act. Note: Since Worksheet B income is not included in AGI, you might still qualify for automatic zero EFC or the simplified needs test, as they trigger off of AGI and not total income. For example, if you have no income other than combat pay and housing/subsistence allowances, you will probably qualify for automatic zero EFC. You can find more military affiliated resources by checking out our trusted partner, Military.com.